Would you like to have more influence? Would you like to persuade people? Would you like to become a better leader? My name is Alain Wolf and I am a communication expert. I have already helped more than 60’000 people in 16 countries to become more confident and develop better social skills. 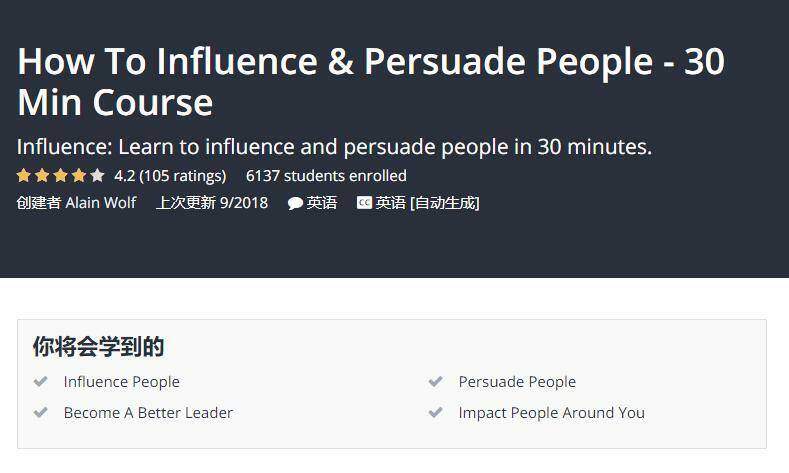 In this course, you will learn how to influence, persuade and become a better leader. I have shared with you my most powerful tools and techniques in this course.